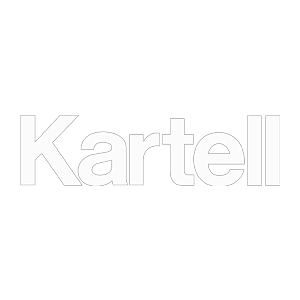 kartellforum • View topic - The next level in styling? The next level in styling? This idea has been rattling around since I saw pairs of cars being sold at the Barrett-Jackson. They were being sold as pairs because of some relationship to each other, like they were sequential serial numbers, or arch rival models, etc. What about customizing as a set? Yang is a completely blacked-out car (say an S4 for the sake of argument) with every available driveline power option and tuning technology. It embodies every degree of modification for the sole surpose of speed and performance. stripped interior, etc etc. Again, everything must be as black as possible black clocks, black needles - you get the idea. Ying is a pearl white A4 with a stock engine - detuned, in fact. Shaved bay, as simple as possible without adversely affecting passenger comfort. Ying's interior is the picture of creature comfort, top of the line accessories, etc. Here again everything is as white as possible. The purpose of Ying is comfort, not performance. To get the whole effect you have to see both cars together, just as with ying-yang one cannot exist without the other. Re: The next level in styling? It'd be a dope idea for 2 friends to do too... I've seen 'pairs' done in worthersee coverage before... however not with such an importance in balance. It'd work for pretty much every platform... plus I think it'd fulfill that want to do everything without ruining things (like that usually turns out). I like having Dave around. I love the idea. I'd love to see it in a different form though. Take a black as **** mk1 scirocco with a fully tuned TDI. Same criteria as the first S4. I've always liked the idea of this. Same models, extreme difference in attitude of modification. Altthough not the same models, I've always thought of the benz and corrado in this way. dr. locktopus wrote: I love the idea. I'd love to see it in a different form though. Or how about two extremes of VW truck; a pure luxo Toureg towing a bagged out Caddy (VW) in the same color.